Book 3: Now completed, published, and waiting for the first paper copy to arrive before we officially announce it. 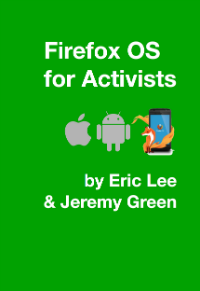 A draft web page is already live — http://www.labourstart.org/firefoxos — and will be improved before launch, probably tomorrow. Intern: We have a shortlist of five intern candidates and will interview them this Friday. Berlin 2014: I’ll be visiting Berlin next week, meeting with our organizing committee there plus others. We should be able to launch the conference website by then, and begin online registrations. This is how you promote LabourStart: See below for the table Derek set up at the Canadian Union of Public Employees (CUPE) convention where he’s been selling our calendars and books and making great connections for LabourStart. Colombia campaign: After just 8 days, this is our second largest campaign ever, with just over 10,100 messages sent — over 100 of them from Colombia. Blog action day: I used this to help promote some of our campaigns — but there’s no evidence it helped at all. Donations: We received once again a large donation from LO Norway. Newswires: I checked to see if there was a problem with one of our French newswires — there wasn’t, and with one of our Finnish newswire — there was, and I’ve not yet been able to solve the problem. For what it might be worth the feedback I have gotten from the folks buying the calendar here at the CUPE National Convention has been that it is great, but they would not have realized how nice it is from shopping for it online. I suspect none of the people who bought it here would have purchased it online. The quality of the photos etc. is quite striking on paper, perhaps not so much so online. Had I brought as many as 25 I think I could have sold them. I didn’t in large part because of the slowish sales online and I was afraid I would get stuck with the unsold ones. We might want to plan for it to be more of a conference and convention item in future. You might like to specify a charset in the header of your promo page to avoid garbled characters. Sorry, I was talking about the new book. Concerning the calendar, the choice of the week starting on Sunday is contrary to ISO normes which might explain (amongst other reasons) that some people don’t buy. I don’t know anything about ISO norms for wall calendars; we were using the default Lulu calendar which should work well in English speaking countries. In any event, that can’t be the reason for slow sales, as you can’t actually see very much of the calendar online. Derek reports excellent sales at the CUPE convention once people actually saw it. We’ll create a web page today to give people a better sense of how nice the calendar looks and I hope this will help boost sales in the next two months.